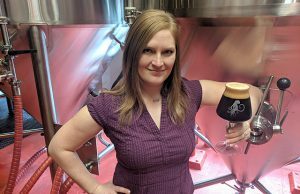 ​VALM: ​In a production brewery, there is sometimes a push to get beer in and get it out, as well as for people to get through individual jobs as quickly as they can. I’ve found that taking one’s time — with single tasks like dry-hopping or CIP-ing vessels and even with the beer itself — that slow and steady equals fast and right. 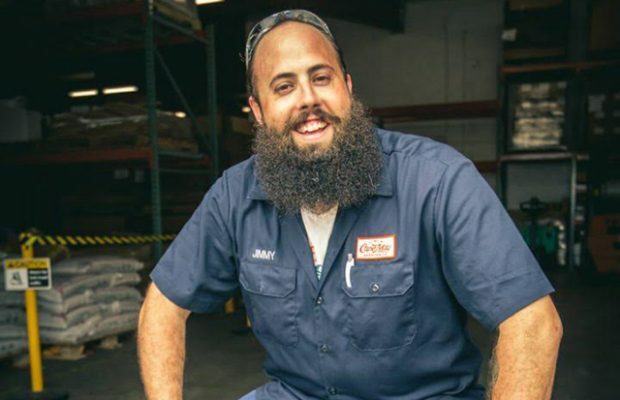 VALM: Before I worked for Cape May Brewing Company, I was the Production Manager at the Brooklyn Brewery for a few years and worked very closely with Garrett Oliver. He taught me a lot of things, but the one that probably stuck with me the most is to always try to keep it fun. No matter what, he seemed to be having a good time and always tried to ensure that everyone else was having a good time, too, whether it was while talking about new beer ideas or even just a day on the brewery floor. You can almost taste the bad days in the beer. ​BREWER: ​What have you added to your brewery lately that’s unique or making your business more successful​? 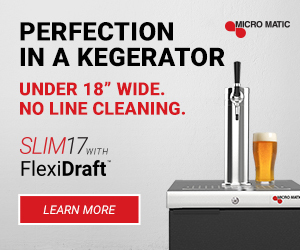 VALM: ​Throughout our history, we’ve always put a lot of focus on proper laboratory equipment to ensure the highest quality beer possible, even when we were only producing 5-6,000 BBL per year. We were one of the first customers for Invisible Sentinel, and now we run it on every batch of beer, often at multiple stages. This helps ensure that our sanitizing techniques are adequate and to make sure we never send out any infected beer. We also jumped right on with their test for var. diastaticus once that became available. We have a var. diastaticus strain that we use quite often, so we want to make sure it’s not spreading into other beers. 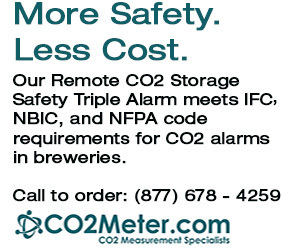 When I first joined Cape May, I looked into yeast measuring devices, and we went with the Nexcelom Cellometer X2. I always like to say that brewers don’t make beer, yeast does, so using this has been really helpful in tightening up both the quality and consistency of our beer, which affects a whole host of other things like production planning and expansion plans, too. ​BREWER: ​In today’s business climate for craft beer, how will your brewery grow? 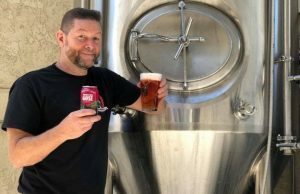 ​VALM: ​As far as I’m concerned, there are two vital parts to ensuring growth in today’s industry: make great beer while continuing to innovate, and expand markets organically and with plenty of preparation. It’s one thing to consistently make beer that one will know will sell (IPAs, IPAs, and more IPAs), but that gets old. If there’s one thing that is for certain in today’s market, it’s that people want what’s new and are constantly searching it out, so we must continue to experiment and come up with new, fun ideas. This, however, affects the second part of the equation as well, in that people are looking for the newest thing. So, expanding into new markets may initially seem easy when sales are doing great, but that’s because you might be the new kid in town, as it were. That’s why investigating the market, establishing targets, and making sure you have experienced feet on the ground are essential to having long-term success in new markets. Expansion must also be done organically, by which I mean: Don’t force it. Don’t go into new markets unless there is a demand or a demand can be relatively easily established. Going into a new market where they’ve never heard of you and you’re just another stack in the cooler doesn’t help at all. ​BREWER: ​What sort of innovations in craft beer excite you? ​VALM: ​I’m inspired by some of the experimentation that’s going on in new styles of beer and the fusion of different styles together. Not all of the new styles excite me; in fact, I think in a lot of the different beers all taste the same, but new trends in using interesting ingredients, using ingredients and different times in the process, aging and blending techniques, and a renewed sense of going outside of style parameters are resulting in interesting beers that are wholly unique to the brewery that’s making them. ​BREWER: ​If you had one strategy that you could implement to better the craft beer business, what would it be? VALM: ​I think we still need to be better at being more inclusive, both in the kind of customers we market to as well as the kinds of beers we produce. 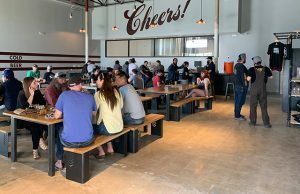 There are still far too many breweries that only appeal to the IPA-hoarding beer nerd, and that might be why our growth has slowed down so significantly over that past few years. Yet, wine and cocktails are seeing a much larger growth rate. Cocktails have the luxury of being extremely tailorable — much more so than beer — so consumers are able to get very specific with what they want to drink. Brewers still tend to tailor to a very small sector of the market — it has done well for us so far, but now we’re hitting a wall and we need to look beyond IPAs and pale Lagers if we are going to expand the market. And I don’t mean “more fruit beers for the ladies” — that’s just insulting. We need to really look at what people who don’t drink beer are drinking and why. We need to look past IRI data and see why it is people make the selections they do and work to make those a part of our beer. I think the idea that “craft beer is for bearded, hipster, fixie-bike-riding beer nerds” is the number one obstacle our industry needs to overcome right now.